"We've watched this with great interest for the last couple of years, and decided in the last six months that the time is right to start to invest in this, and not only on our licensed properties, but even you'll see us, in calendar year 2017, fully engaged with our Battlefield franchise, a wholly owned IP, and starting building our competitive game modes as part of that franchise." "There are microtransaction opportunities in Battlefield called BattlePacks, that allow you to progress your way through the game. We have also seen, in particular with great admiration for what CounterStrike: Global Offensive has been able to do, and to their credit, and the engagement levels with that are phenomenal. We'll simply sell more copies of Battlefield with the fact that there are competitive types of gaming mode built into that that allow people to compete." I have expressed my extensive opinions regarding this topic at https://relativepulse.blogspot.com/. For BF to ever become a successful competitive game, it needs to have a unique factor that other games do not offer. This will not come from infantry-only game modes that are frankly poorly put together. Conquest Small with vehicles is not only the superior game mode but the preferred one by the majority of the community. As for your comments and the article, Squad Rush was really well done, as was Rescue in Hardline. I think they could make Squad Operations work very well in this game, and if people tried to make Operations competitive then the infantry-only kids would be on the same page as the mixed-mode players. Don't know if this article means a whole lot though, it just randomly goes into a comment about microtransactions, and the site seems like a tabloid. They could be talking about 'competitive' like the crap ranked mode you get in Overwatch. As incapslap said, the competitive community. A poll is featured by Xfactor gaming on my blog that has over half of 1000 respondents prefer CQ small in a competitive setting. Here's a video of jackfrags Discussing it. This wasn't the only website to discuss what was said at the Credit Suisse conference, as those are direct quotes. A game mode like Overwatch would be better than what exists now at the very least, but proper competitive play obviously requires more effort from EA/DICE. Thanks for this. It seems like he's speculating (and he says it in about 5:30), as there will be no BF game in 2017. An intra-game feature of some kind is possible, but given comments from EA in the past that have never developed into anything is always disconcerting. It's imperative that a new BF doesn't turn into an infantry exclusive competitive game. Conquest small is preferred by the majority of the competitive community, and for good reason. As he says in the video, if DICE LA heads any initiative, especially a competitive one, would be a complete disaster as they are totally incompetent. oh I can so imagine some of these cod converts and other blueberries competing! They might as well change the name of that game cause it won't be a real Battlefield and IMO it's a horrendous way to divide the playerbase. I would like to play BF competitive but why do i have to pay for another game to do that? They could just implement a competitive mode in BF1. Unless, they plan on releasing only this competitive BF for the next 5 years or so and won't release any other bf games. As I describe in my blog, there would be little division for a competitive game mode if it is properly made. That is, large similarities between public matches and competitive ones. Conquest small has achieved this in past BF games like Bad Company 2 and has been very favorable to its players. So... 500 out of 500,000? It was half of the poll with 1000 people in it... The majority of the entire community doesn't play competitively, of course, but the ones that do prefer Conquest Small. 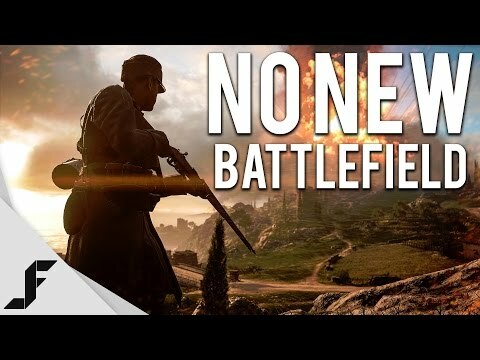 If EA/DICE want to propel their game into a competitive scene, then they should do so through Conquest Small and not through some infantry-based game mode that frankly very few people enjoy. If BF ever wants to be competitive, balance has to be almost perfect. And balance is far, far from perfect now in BF1. All that's really needed is a small mode or two, Conquest Small, private servers, options to disable the behemoth, elites, certain gadgets, and the ability to change tickets. I think a stripped down version of MM like Team Versus in Left 4 Dead 2 would work much better than what you get in Ranked ELO modes. Name a single competitive game with perfect balance. There are none. That's why players develop their own rules. I think Rush mode actually fits the competitive bill, though likely some custom server options would be needed (basically, make it Classic) and 4 man squads. If they allow CQ Small, 12v12 on smaller 3-4 flag maps... that would also work. 5v5 works in comp because it's much easier to set up games with other teams, practice as a team, and even have in game match making for practice. For this reason, I think Squad Rush should be considered the definitive competitive mode. Still nothing I'm interested in, but 5 man teams work much better organizationally. "CQ Small" aside, the rest of those options I believe are on their custom server improvements roadmap. They may have plans to offer smaller versions of the CQ maps as well, using 3-4 flags of each map, but I have never seen any post/reply from a DICE employee that hints they are in fact planning to. Yes, BC1 was impossible because of the lack of private servers. I feel like theres been a huge backwards trend from having capable maps that were easy to play on in BC2 from having to eliminate flags on maps methodically to even make a map playable on BF4/BC1. Plus, many of these maps aren't even suitable after you remove the flags.